A pleasant morning and a blessed Independence Day to you. Apparently the Billboard did not have a picture of Mr. Nathaniel Cacho from Stann Creek. 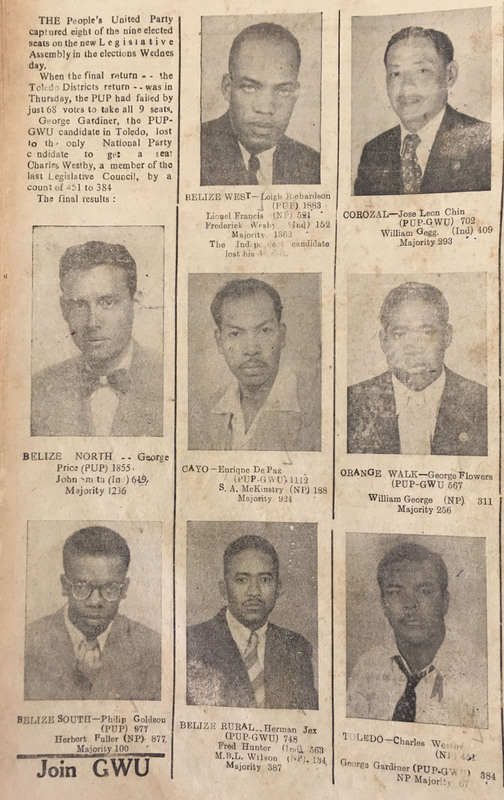 At this point, Mr. Leigh Richardson, Mr. Philip Goldson and Mr. George Price all belonged to the PUP. Two years later however, Mr. Richardson and Mr. Goldson went to form the Honduran Independence Party (HIP) which became the National Independence Party (NIP) which, with two other parties, led to the UDP. This was a bold and sacrificial move that these two men made. If they had not gone out and formed an opposition, it is possible that Belize could have gone down the road of one party rule. This would most likely have caused a very extractive form of government and set the stage for revolutions and counter revolutions. Just a few things to think about on our birthday. Happy Independence Day Belize, and don’t forget to be grateful to God for sending the people who worked for this achievement!! !